For over 40 years, the company VALMAS has been producing and marketing traditional dairy products. 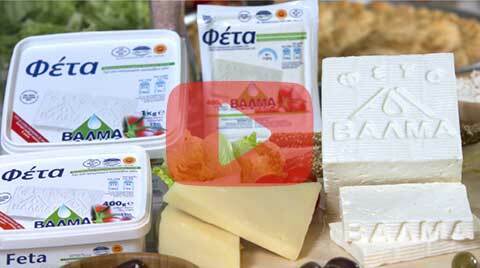 The company started as a family-run business, based in Paleochora of Chalkidiki, on Mount Cholomontas, and developed into a modern enterprise, well-established in the field of dairy products, maintaining the tradition and quality of its products. Every day, it collects pure fresh goat and sheep milk from selected farmers in the areas of: Chalkidiki (Mount Cholomontas), Thessaloniki (Volbi and Sochos), Serres (Nigritas), Drama (Paranesti) and the mountainous region of Pangeo. Get to know VALMAS’ products using the offer coupon and expand your horizons with the traditional and distinctive flavours we have been preserving intact for years now.